Today was Day #8 of Chocolate and Venezuela Theme Week. There are so many complex and interesting single origin bars from Venezuela, that I've extended this week beyond seven days. 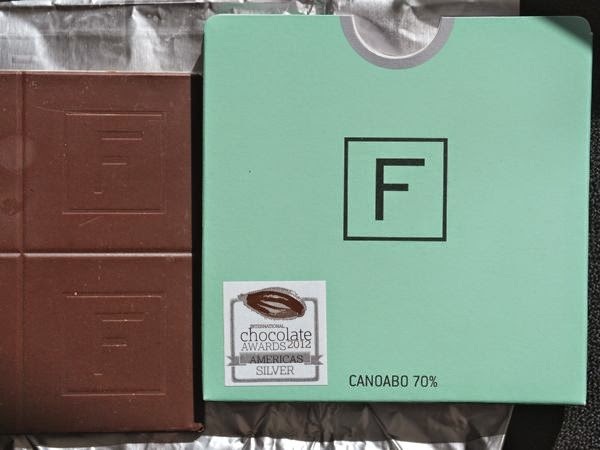 The Canoabo 70% bar from Franceschi Chocolate (Venezuela) was rich and wonderful. The flavors from beginning to end were consistently and wonderfully balanced -- encompassing floral, fruit, sweet, bitter, in just the right amounts. Loved the packaging, and the two thin bars in one package from Venezuela (Franceschi and Cacao de Origen) this past week. The thinness permits ready access to flavors during the tasting process. And, speaking of packaging, Franceschi also produces small tasting square versions of this bar. 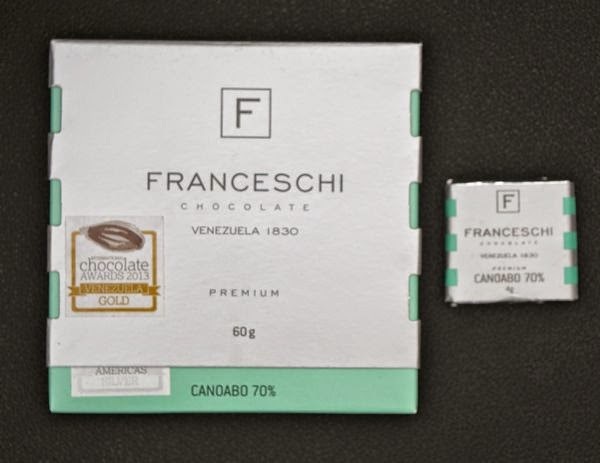 *Franceschi received an International Chocolate Awards Gold award in 2013 for their Canoabo 70% bar after receiving a Silver award in this same category in 2012.